Mayor Bill de Blasio wants New York to become the first place in the 50 states to make private businesses provide time off with pay . He casts the idea, which is awaiting City Council action, as a next frontier in workers’ rights. His plan resonates with people like Barbara Vasquez, a former Manhattan retail worker who says she’s struggled with health problems that exhausted any sick leave she accrued as a part-timer. But some city-based small business owners say paid vacation would pile on pressures after minimum wage increases and a paid sick leave requirement in recent years. Under the Democratic mayor’s proposal, most businesses would have to give full-time workers at least 10 paid vacation days a year, pro-rated for part-timers, besides sick time. 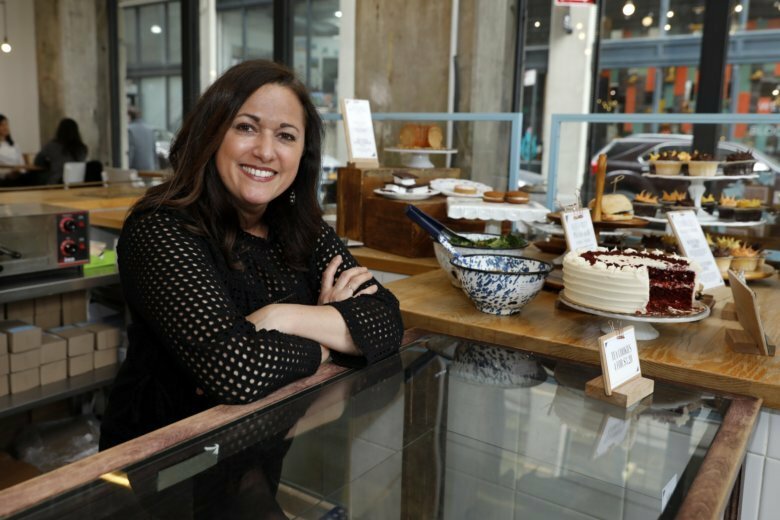 “I would love to be able to provide vacation time to my employees … but the reality of it is not whether or not we want to give it — it’s whether we can give it,” says Dawn Casale, the founder of One Girl Cookies, a Brooklyn bakery with three retail shops and about 40 employees. They get paid time off after five years, or if they’re managers; others can arrange unpaid vacation, she said. Casale says she’s not against the mayor’s proposal but feels the city needs to help small businesses make ends meet, perhaps by helping them negotiate health insurance as a group. “You can’t weather every storm,” says Casale, who said she stopped searching for a fourth location because she doesn’t find the city conducive to expanding her business. Many countries require paid vacation, as does the U.S. territory of Puerto Rico. But labor law experts aren’t aware of any similar laws within U.S. states. An estimated 500,000 full- and part-time workers in New York City shops, restaurants and other businesses don’t, city officials estimate. “They miss parent-teacher conferences, they miss school plays, they miss weddings, they miss family occasions, they miss funerals,” de Blasio said in January. Proposals for a paid vacation law have been floated in the Democrat-dominated City Council for five years, and Speaker Corey Johnson says he supports the concept. He said he’s reviewing the mayor’s plan, which would apply to all businesses with five or more employees, and monitoring a different version that’s been introduced in the council. “We shouldn’t have to argue that people have more than one reason that they need time,” said Ellen Bravo, director of Family Values @ Work, a national network of paid sick leave campaigns. They’ve pitched sick days partly as a public-health benefit: curbing contagion by encouraging ailing people to stay home. De Blasio acknowledged vacation doesn’t have the same impact on the population at large. But he says it’s “not a healthy society” when half a million New Yorkers can’t take a personal day without taking a financial hit. Andrew Rigie says what’s not healthy is the business climate for some members of the NYC Hospitality Alliance, an industry group he runs. Many restaurants have told the alliance they plan to cut jobs or workers’ hours this year because of minimum wage hikes — they vary by business size and other factors — let alone any potential paid vacation requirement, Rigie says. “We’re concerned that there may not be the types of opportunity that there have been for people” in a field traditionally accessible to immigrants, students and others, he said. Vasquez, meanwhile, is feeling better and job-hunting with some help from the Retail Action Project, a workers’ advocacy group. She says if she someday got a job with paid days off, she wouldn’t use them lightly. “For me, vacations would be more for my health,” she says.